When someone visits your website or personal profile page and initiates a chat using the live chat widget you will hear a notification sound. 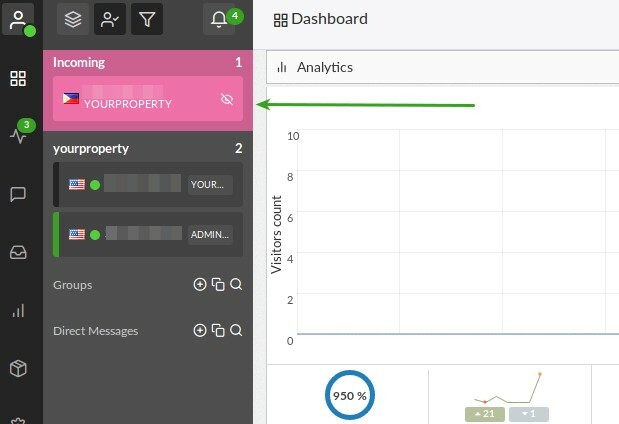 On the left side of the dashboard you will see that visitor and the background color will be PINK. That indicates you have an incoming chat that needs to be answered. Answer the incoming chat by clicking on the visitor (with PINK background) to open the chat window. PINK Background – New incoming chat that has not been answered. GREEN Bar – Chat that YOU have already answered and is currently active. GRAY Bar – Chat that is active but ANOTHER agent has answered. Then click on the JOIN BUTTON at the bottom of the chat window. Once you answer the chat that visitor will have a green background. You can use the menu to select which Alias you would like to join the chat with. The Alias names will appear when you click on the menu. 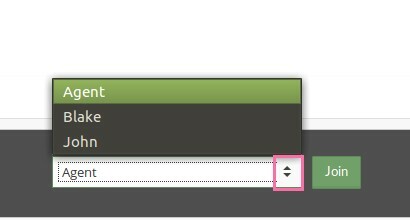 Select the Alias and then click the green Join button.